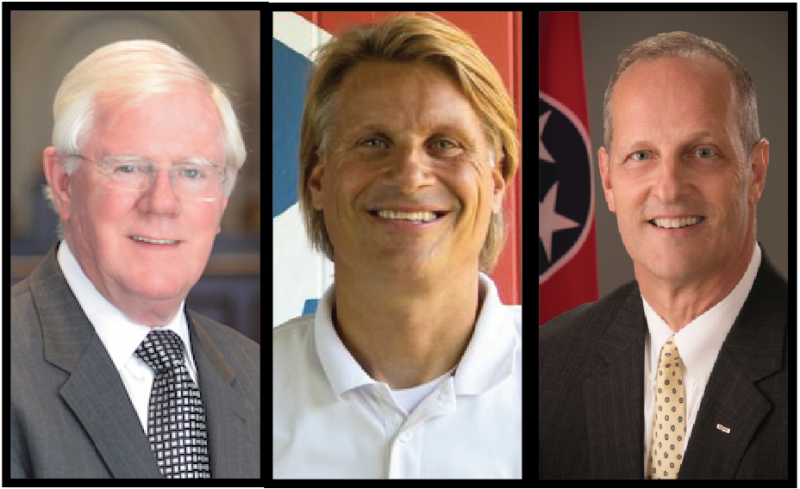 Since the beginning of the year, the House District 61 candidates have out-fundraised everyone else running for office in Williamson County. Franklin Republican incumbent Charles Sargent raised a total of $175,982 since April. In the last 28 days alone, donors gave him $73,250. Of that, 40 percent came from special interests groups and political action committees. His biggest contributor before the primary came from Franklin-based JOBS4TN PAC in the amount of $6,000. JOBS4TN supports career education and job placement in the state. Gov. Bill Haslam was the group’s only contributor in July, with a $150,000 check. Of all the Williamson candidates, Sargent had the largest PAC donation throughout the entire campaign at around $85,000. Baker Donelson, Blue Cross Blue Shield of Tennessee, Cigna, Flex, Jack Daniel’s, Tennessee Action Committee for Rural Electrification, Tennessee Bankers Association, Tennessee Employees Action, TIFA and Unum gave the largest PAC amounts in July. While raising the largest amount of money, Sargent also spent the most in July, too. His campaign spent $110,699. Nearly half of that went to the Nashville-area TV stations – Channels 2, 4, 5 and 17. The remaining expenses went to advertising, campaign mailers, website maintenance, campaign interns and public relations. Sargent’s Republican opponent, Steve Gawrys, earned no money during the pre-primary period. In total, he raised only $35,180 for the whole campaign. Of that, $14,600 came from PACs. Gawrys’ primary special interest group funding came from the Tennessee Firearms Association. The Tennessee Firearms Association, a 501(c)4 out of Nashville, has given $13,280 in the form of its own PAC – the Tennessee Firearms Association Legislative Action Committee – and through two PACs based out of West Tennessee. The organization said it would like to unseat Sargent. In the last 28 days, Gawrys spent $10,659. A majority was spent on campaign advertising with Gill Media in the amount of $6,000. The remainder went to campaign workers and signage. Terrence Smith, who only raised $1,500 with a check to his own campaign, raised no money in the last 28 days. He spent a few hundred dollars, and has had little monetary activity throughout the house race.